Feeling happy can often feel as elusive as a transitory butterfly. 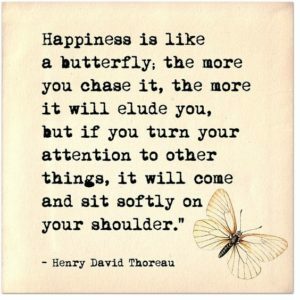 I can honestly say that in my 10-year solo parenting journey, happiness has been like a butterfly who didn’t often decide to sit on my shoulder. Instead of feeling joy, I was firmly planted in survival mode and at times overwhelmed by feelings of responsibility, stress and in the early days, social isolation. Thankfully, now, I am in a really good space and wish to celebrate and build on this fact. You may be wondering what has lead to this change. Over the last six years especially, I have done a great deal of internal work. Before becoming a kinesiologist, I witnessed how much it improved my own life. This inspired me to help other women on their own personal journey. So I studied kinesiology and am now privileged to be a practitioner. Also, my kids are now both in school. This doesn’t mean I have much time to spare but I have uninterrupted time to both work on my business and study. A winning combination. I’m also the kind of person, whom Spring performs its magic on. It really does put a spring in my step, a smile on my face and feelings of happiness in my heart. According to Marci Shimoff, author of Happy For No Reason, “when you notice good things that happen to you, you activate your reticular activating system (RAS).” This a group of cells at the base of the brain stem responsible for turning on your memory system and allowing it to bring anything important to your attention. I’m now on a personal mission to write down my own moments of joy. It’s only a line or two but I feel that it’s going to be really worthwhile. Who wants to join me? If you feel like you might need a little help on the path to joy, please consider booking in for a kinesiology session with me.